This month was nationally recognized as “Men’s Health Month.” Although June is coming to an end, we here at Devon think that it is never too late to talk about health. Some of the most common health risks for men include heart disease, stroke, lung cancer, prostate cancer, and mental health disorders such as depression. Even though regular checkups and screenings can reduce the risk of premature death or disability, as well as possibly improving one’s current health, many health risks commonly associated with men require early detection. Men’s Health Network has developed a “Get It Checked” campaign to educate men on what they should be getting checked for, and how often – click here to check it out Living a healthy lifestyle is much more than visiting the doctor when necessary; it is also eating a balanced diet and getting regular exercise. 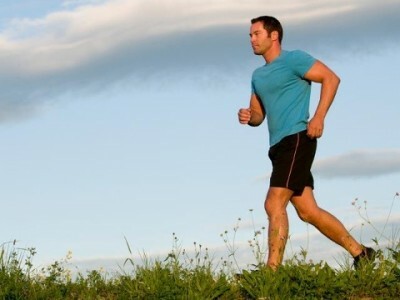 The focus for June is to educate men on ways to live healthier so that they can practice good habits all year-round. Cutting cigarettes and alcohol from daily use is an obvious way to begin a healthier lifestyle, and will reduce risks such as lung cancer and high blood pressure. It is good to stay active as much as possible, but how much exercise required is different for everyone. Regular activity reduces the risk of stroke, heart attack, depression, and many other health risks. Mowing the lawn, riding a bike and washing the car are some good ways to get moving. Being creative with exercises will make it fun to stay active. Would you like to share some of your fun tips to do? Please comment below. Men’s Health Network has started to participate in “Meatless Monday,” a national health campaign from John Hopkins Bloomberg School of Public Health. Although eating meat is fine in moderation, cutting it out of some meals will help prevent heart disease, stroke, diabetes and cancer, all of which are high health risks in men. Eating a vegetarian meal does not mean it has to be rabbit food, a simple search will provide hundreds of meat-free ideas for any taste. According to MadeMan, chili is the ultimate man-meal. 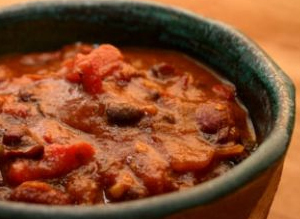 Be a part of Meatless Monday by trying this meaty-tasty recipe from their site for vegetarian chili. about 1 cup water approx. Cook the fake meat as per instructions on the box. Remove the fake meat from your pan. Melt butter in your pan over medium heat. Wisk in the flour and keep cooking until the mix is blond. Add the liquid from the tomatoes. Then add the rest of the mix and keep cooking until its nice and thick and vegetarian-style deliciousness. There are many ways to support the remaining days of Men’s Health Month. You can organize a day for everyone at work to wear a blue shirt or ribbon, spread awareness by using #MensHealthMonth, participate in Meatless Monday, be active, and visit a physician or health fair. Remember to practice these tips all year, and stay healthy!